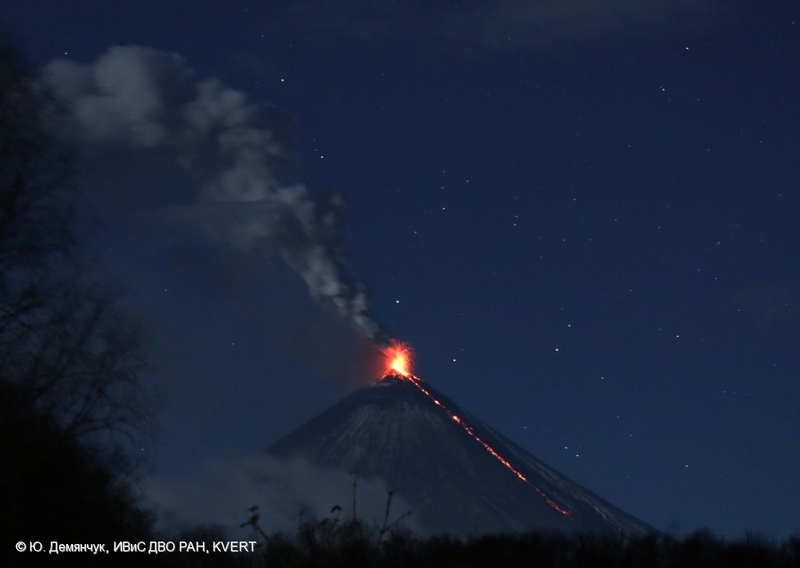 Pyroclastic flows forming as result of strong explosions occurred at 03:06-03:38 UTC on October 18, 2013. 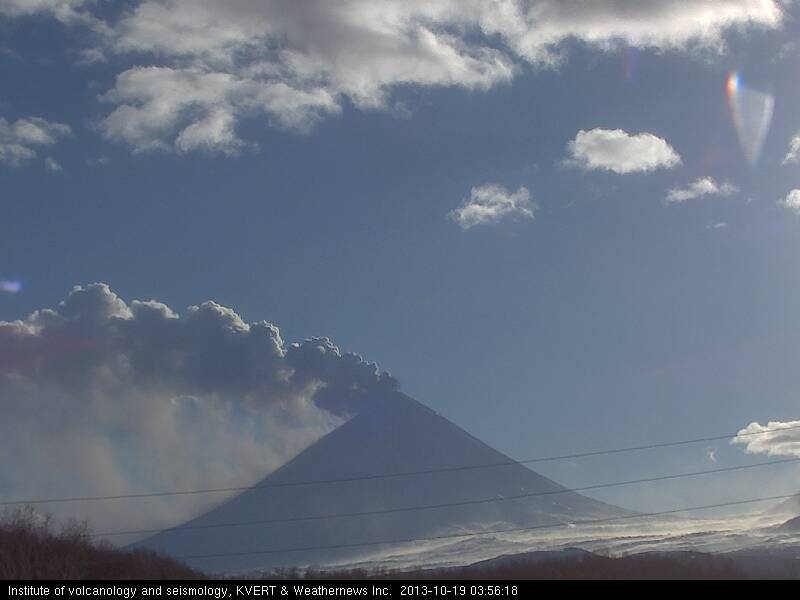 Next ash plume up to 6 km a.s.l. 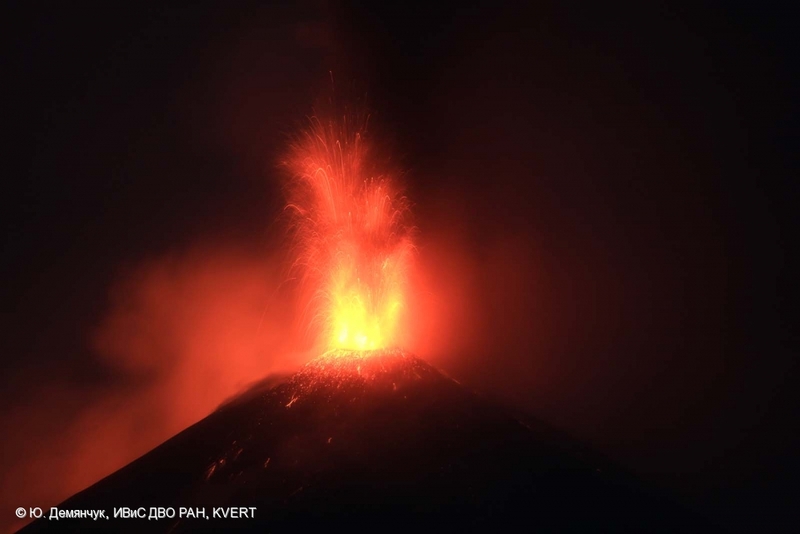 at 05:10 on October 18, 2013. 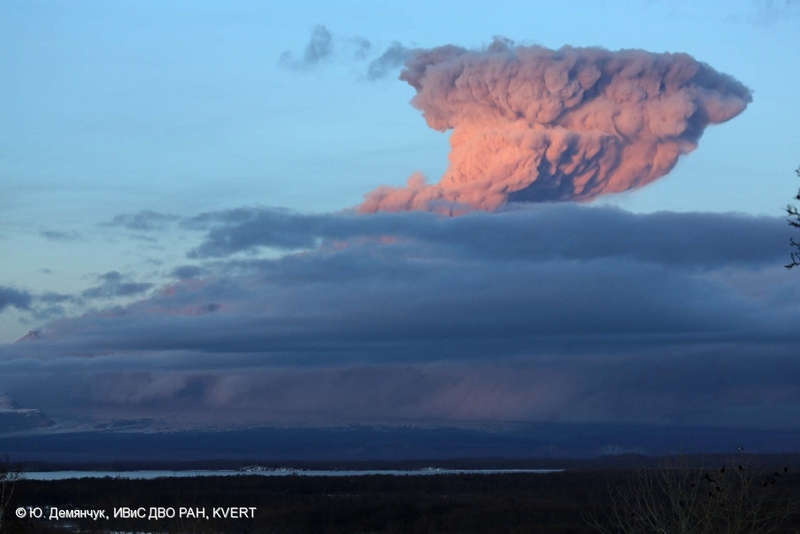 Ash plume up to 9 km a.s.l. 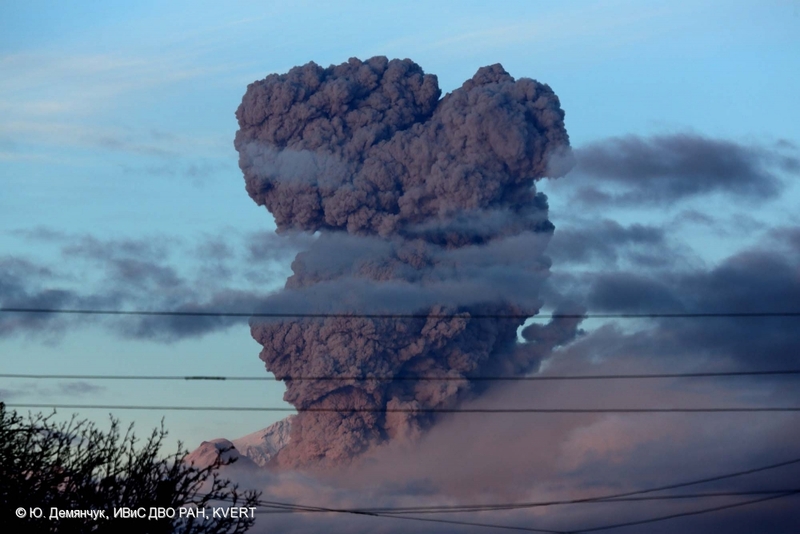 at 05:59 UTC on October 18, 2013. 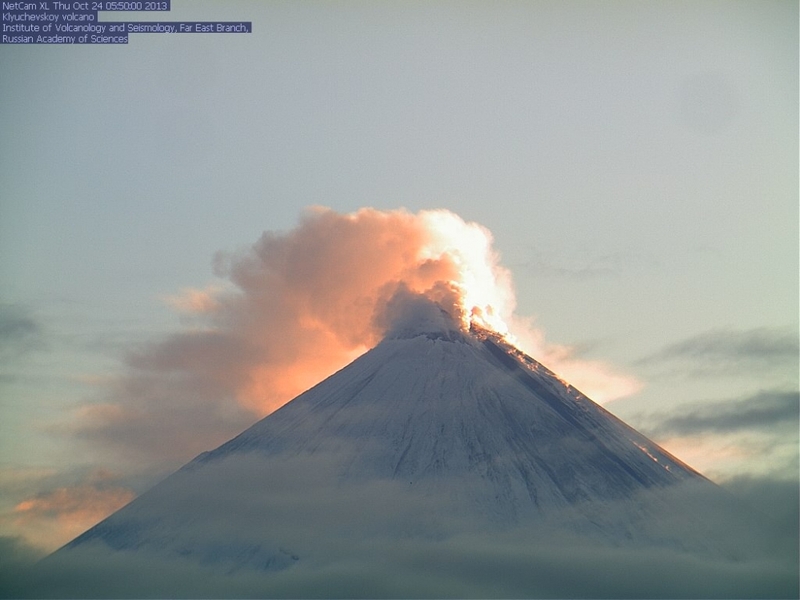 Strong explosive activity of Klyuchevskoy volcano at 18:44 UTC 18.10.2013. 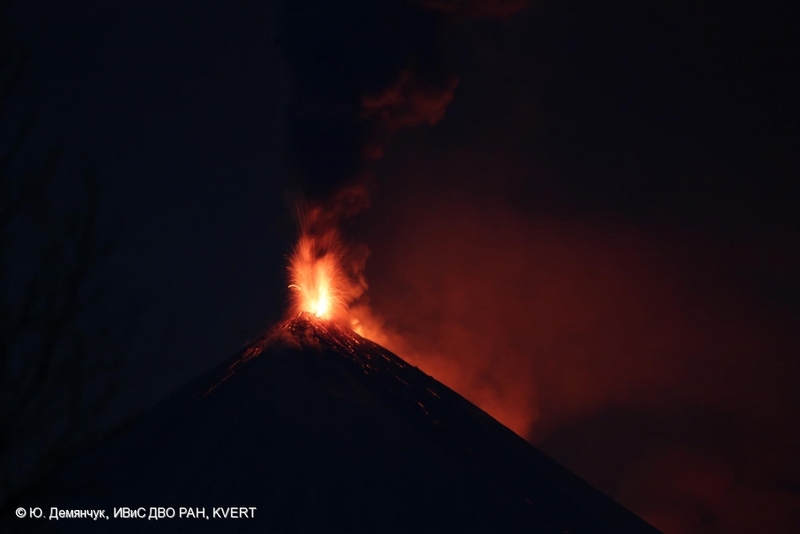 Fountains of lava up to 700-800 m above the crater. 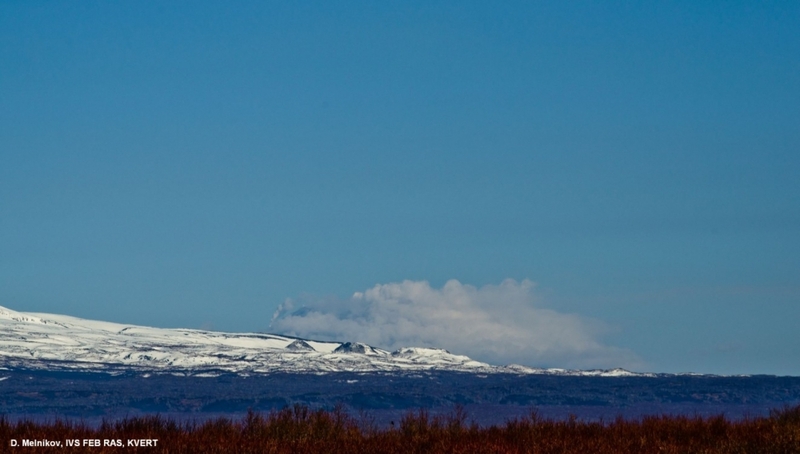 Collapses of lava fragments on all volcanic flanks below 2000 m a.s.l. 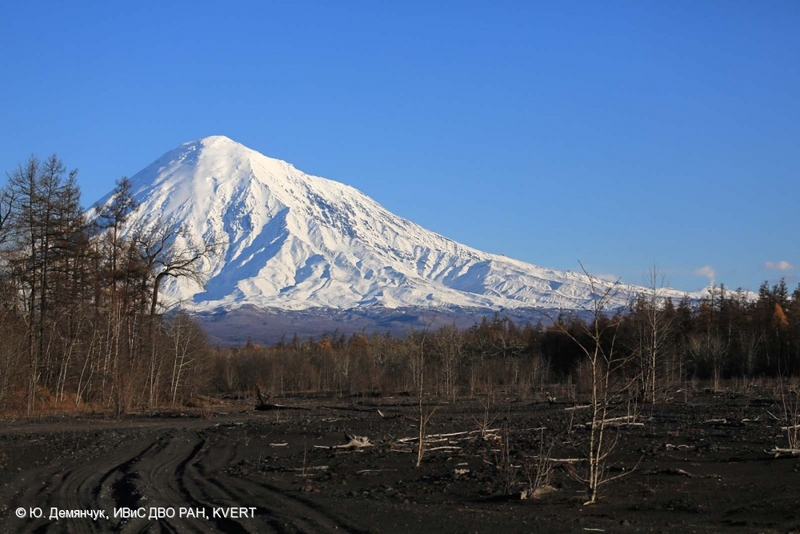 Sheveluch volcano: one in 22 -ash explosions that occurred on October 18, 2013. 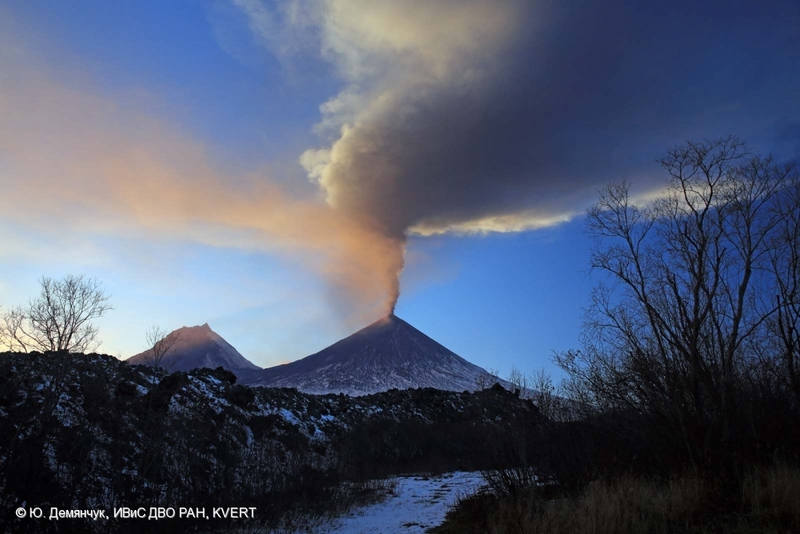 Two ash plumes of Klyuchevskoy volcano - of volcano summit and flank eruption on October 18, 2013. 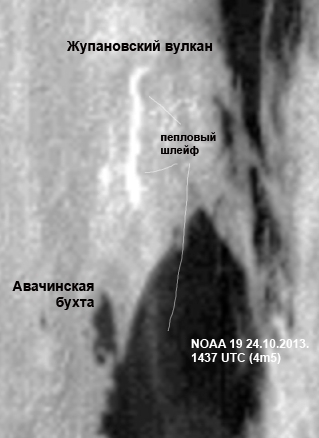 16.10.2013. 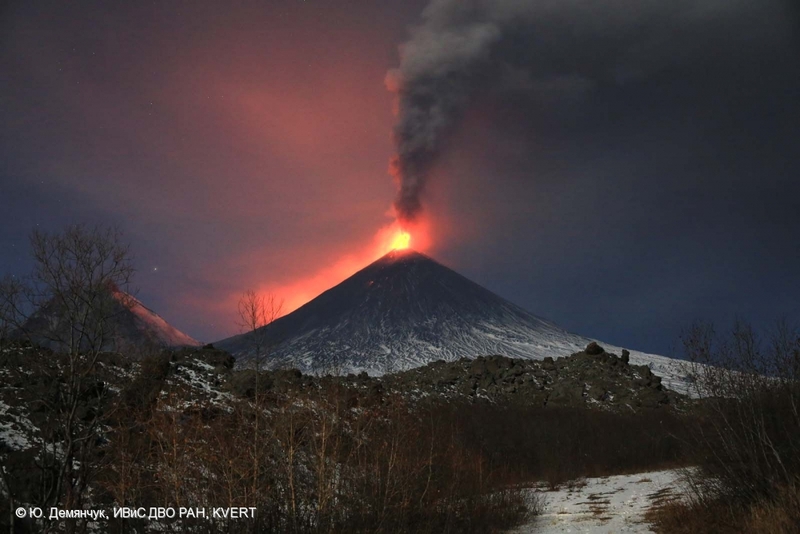 Strombolian activity of Klyuchevskoy volcano, lava flows on the south-western its flank. 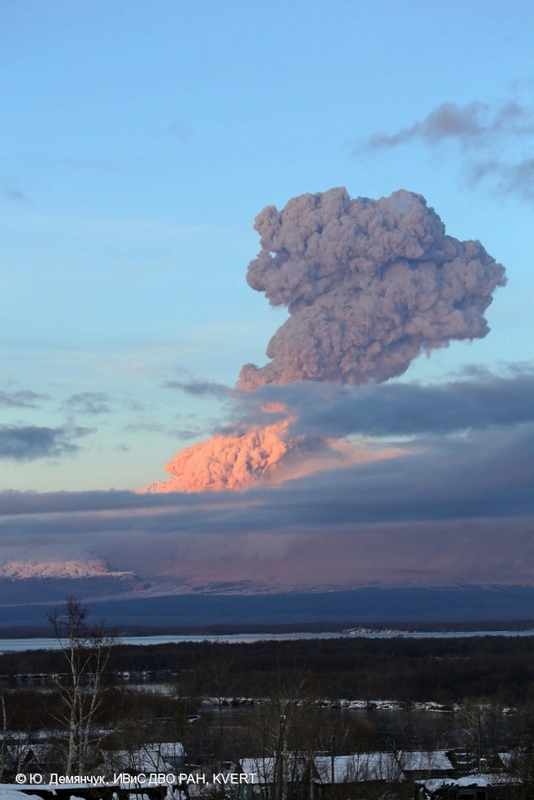 The eruption of Klyuchevskoy volcano from IVS FED RAS base "Apakhonchich" on October 15, 2013. 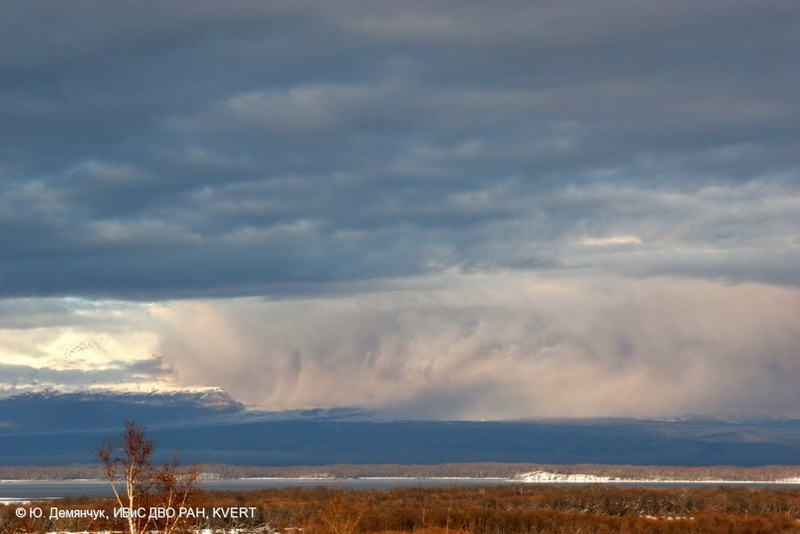 Phreatic explosions at the pass between Klyuchevskoy and Kamen volcanoes. 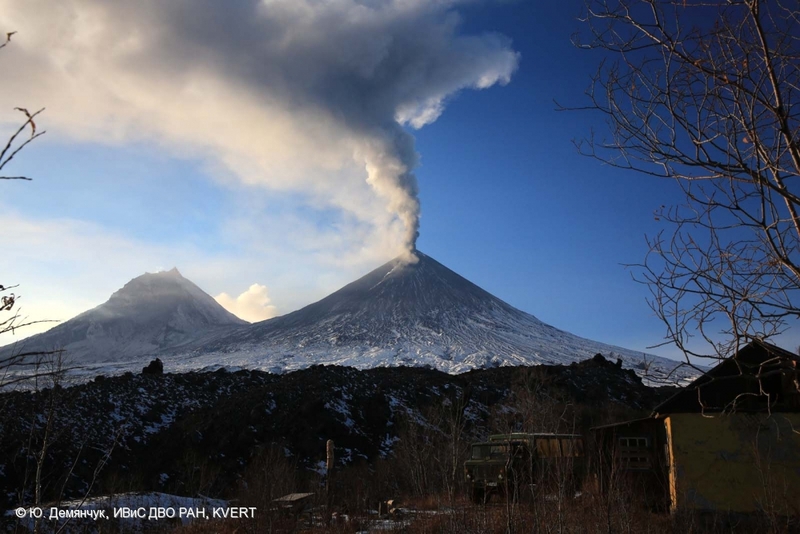 The eruption of Klyuchevskoy volcano - a view from IVS FED RAS base "Apakhonchich" on October 15, 2013. 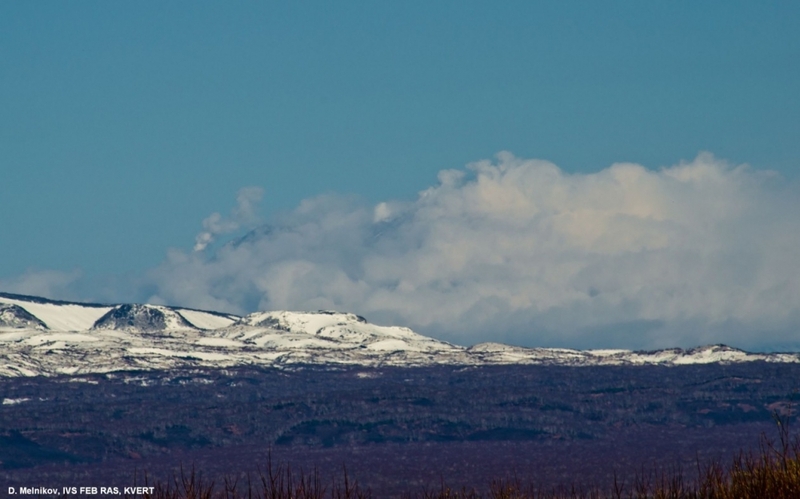 The eruption of Klyuchevskoy volcano - a view from IVS FED RAS base "Apakhonchich" on October 15, 2013. 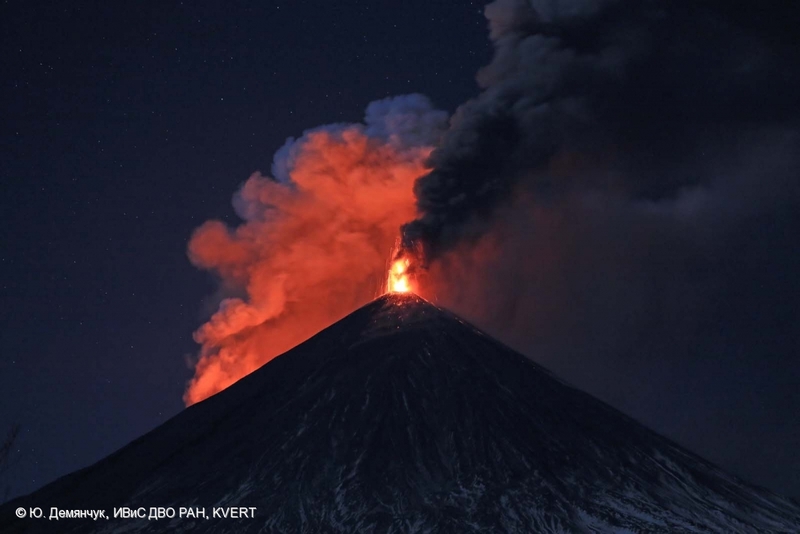 Strombolian and Vulcanian activity, large lava flows on the south-western volcanic flank and hot avalanches on the south-eastern flank. 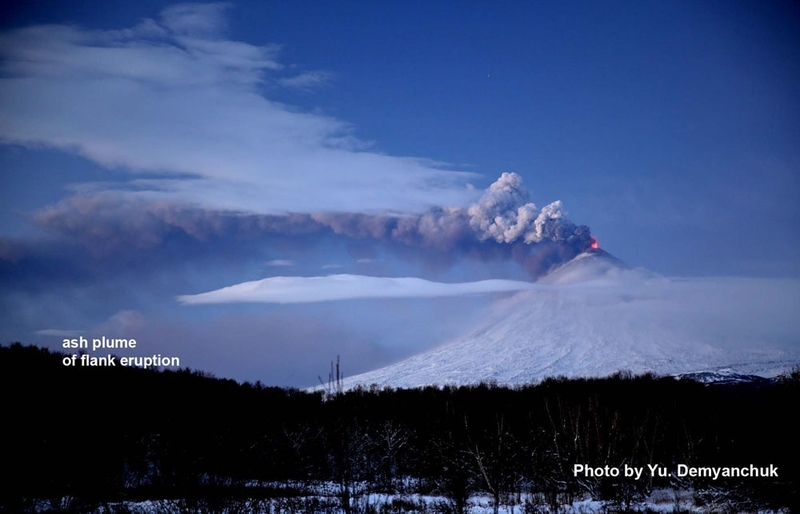 High explosive activity of Klyuchevskoy volcano. 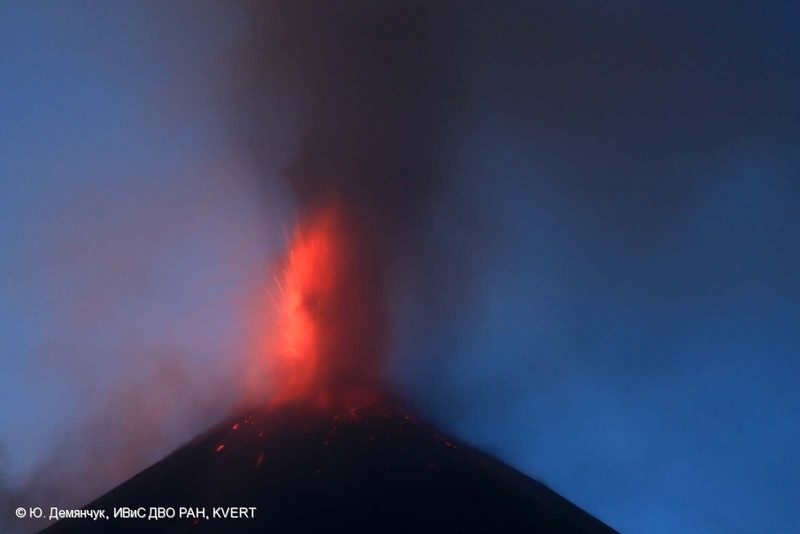 A height of lava fountains was about 0.5 km. 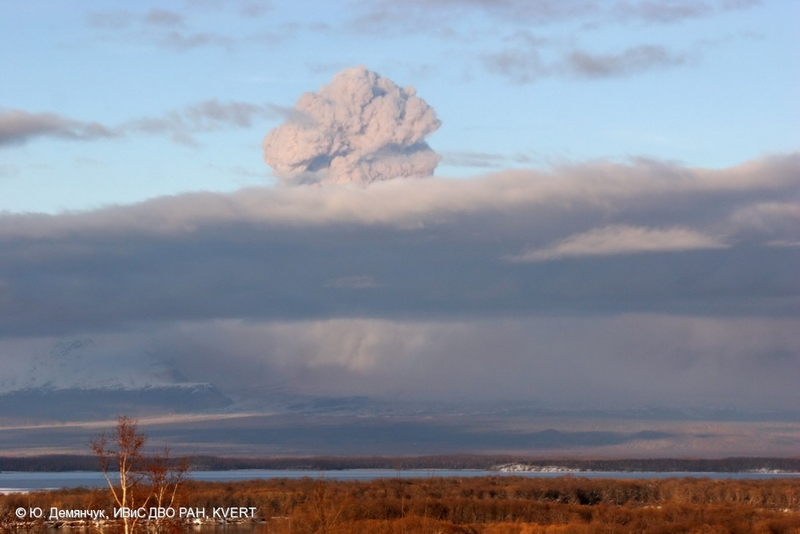 The eruption of Klyuchevskoy volcano - a view from IVS FED RAS base "Apakhonchich" on October 15, 2013. 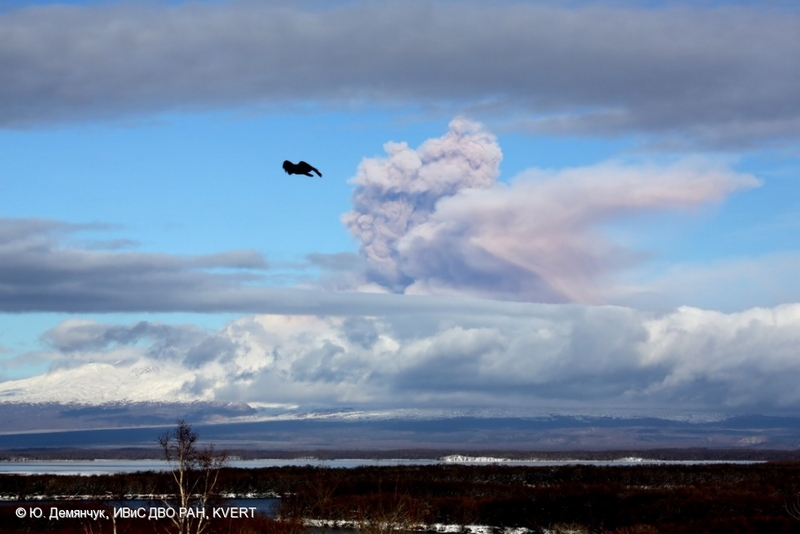 Eruptive column, large lava flows on the south-western volcanic flank and hot avalanches on the south-eastern volcanic flank. 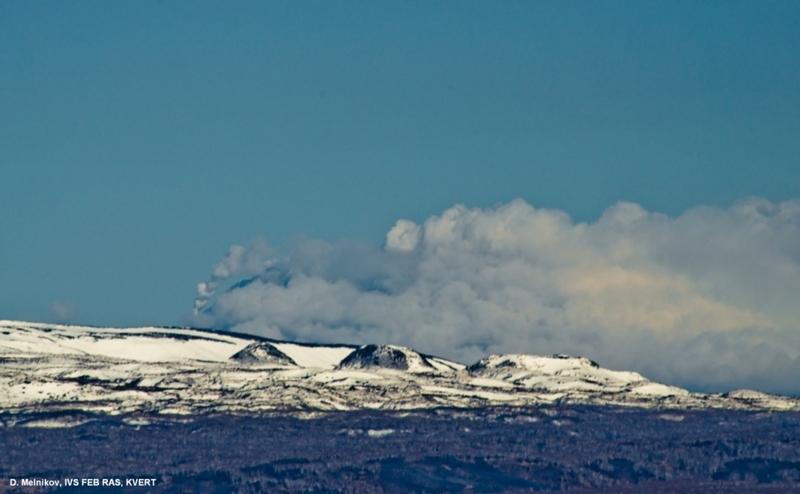 Strombolian activity of Klyuchevskoy volcano, lava flows on the south-western its flank and hot avalanches on the eastern flanks. 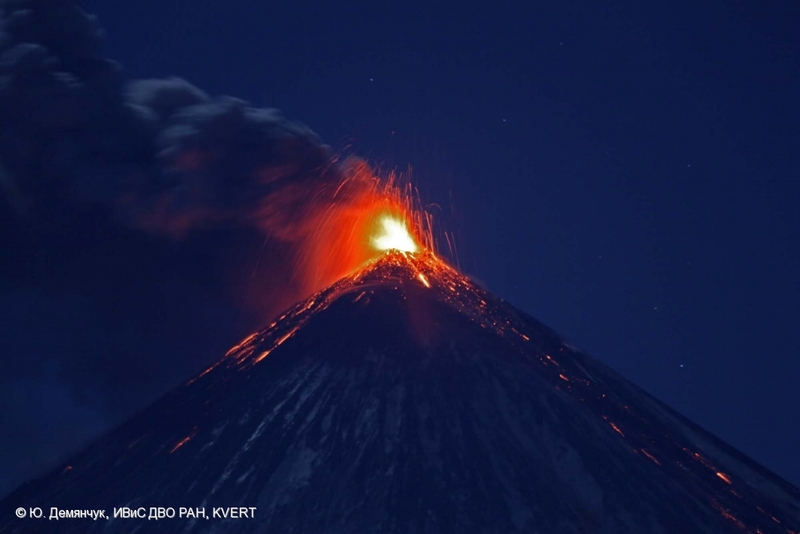 Fumarole activity of Naboko cinder cone at Tolbachik Fissure Eruption 2012-2013 on Tolbachinsky Dol.